I’ve seen countless headlines on how to market and appeal to Millennials. It seems marketing and HR departments everywhere see Millennials as a goldmine of business growth. They view Millennials as some mysterious enigma to be figured out. I’m starting to question this pattern. Why isn’t it the other way around? Why aren’t Millennials writing articles about how to work better with Boomers and Gen X’ers? After all, if the world is “run” by the older generations, you’d think that newbies breaking in would want to learn how to succeed. You would also think Millennials may be offended at being catered to as a mysterious, coddled generation. They can read all these articles about them, you know. I think about how this applies to jobs and HR. We hear almost daily about how hard it is for college graduates to get jobs. We hear about a “living wage.” What if instead of fighting those battles, Millennials increased effort on the job to impress the boss and seek promotion? What if they sought to fit in better and not succumb to the “entitled” stereotype that their fellow Millennials have set for them? Why not take a job that isn’t the best, and work their way up – pay some dues? I also think about how this applies for businesses in marketing. The other day I was eating at Applebee’s. The music playing was new, auto-tuned pop, something those in their 20s (and younger) might be into. Yet, looking around, the median age was at least 45. I would say of 100 people, only 15 were 20s and younger. So while the Applebee’s corporate executives are probably impressing themselves that they are “marketing to a younger crowd,” they actually are turning off 80% of their audience. 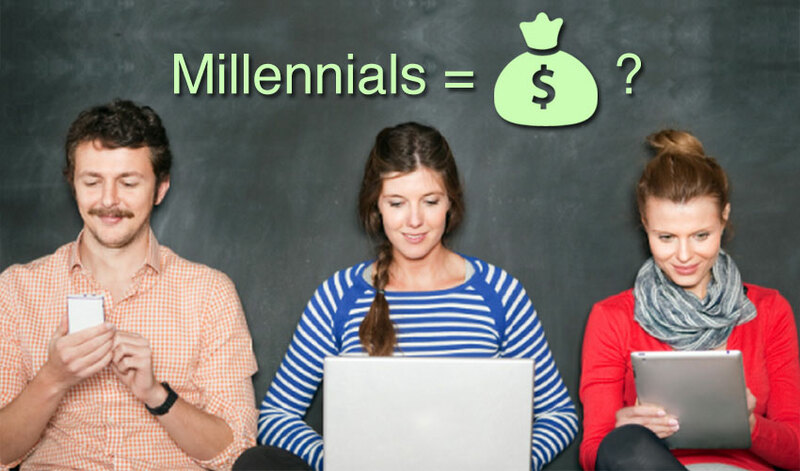 The obsession with impressing Millennials is in reality a detriment to their business. I also see so much marketing focused on single adults. While they might have more discretionary income, and look prettier, the truth is that most Americans are married and not living that lifestyle. A beach volleyball game on a beer commercial is more fiction than reality. Not that we want to see an overweight dude watching football (and we do see that in commercials as well), but it would be more identifiable for many of us. I realize that marketing needs to evolve to succeed. You can’t play music from 1950 forever (although here in Chicago, the Portillo’s chain does quite well doing just that). But it does make you wonder how far to take the pandering to the younger generations. We've found no substitute for an in-person meeting with you and your team. jSinger is serious about digital marketing — let us customize a marketing strategy for you. © 2019 jSinger Marketing. All Rights Reserved.